A blend of some of the most nourishing, moisturizing, botanical oils makes Dilution the perfect carrier for all your essential oil needs. 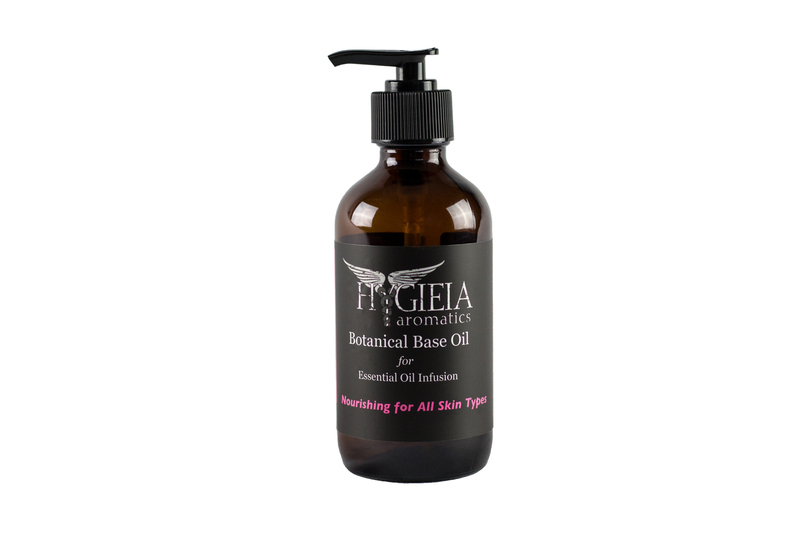 A blend of some of the most precious botanical carrier oils including rose hip, jojoba, evening primrose, avocado, olive, sunflower and more. Skin, hair, total body love – this blend soaks in nicely to damp skin, nourishes hair strand by strand and even makes a great base for an anti-aging facial serum. Use this beautiful blend of carriers as a base for all your aromatherapy dilutions. Remember 1 drop of essential oil per teaspoon carrier = 1% dilution. © 2018 Hygieia Aromatics, All rights reserved. None of the information on this website has been evaluated by the FDA. Statements made on this website are for informational purposes and they are not intended to diagnose, treat, cure, or prevent any disease. The customer is responsible for understanding the safe application of these products. Please contact us with any questions.